I haven't done a stash post in a few weeks! The weekends have been pretty busy here with construction in our bedroom. But we're taking a break right now which means I can share some new purchases with you! I finally caved and bought Field Study. The colors and prints are just so beautiful, I just couldn't resist any longer. I bought a half yard bundle from Westwood Acres. Amanda has such a great shop! I got a surprise package from Windham Fabrics recently with layer cakes of the new fabrics by French Bull, Multidot and Delight! These prints are all so bright and fun! 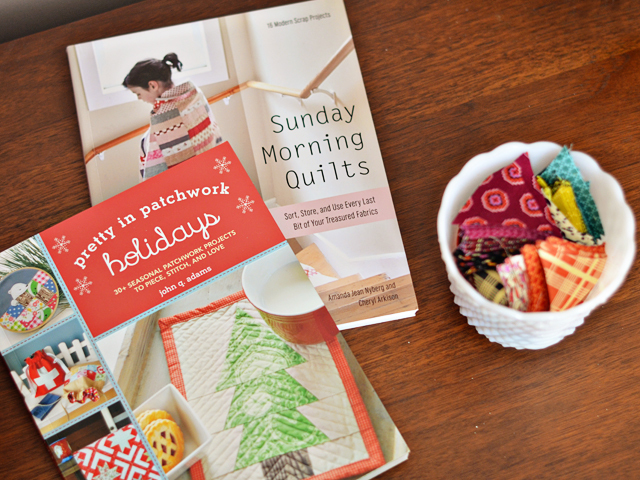 I also bought a couple new sewing books lately, Sunday Morning Quilts and Pretty in Patchwork Holidays! Both of them are wonderful! 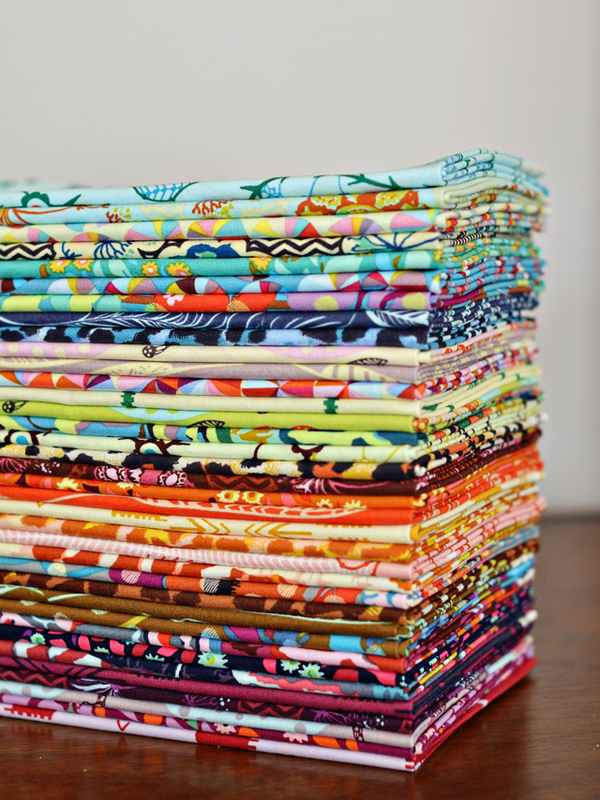 Pretty in Patchwork has the cutest projects, I'm dying to make a Modern Maple quilt! Sunday Morning Quilts has some amazing scrap projects and a ton of information on scrap storage too! I desperately need to organize my scraps. In case you're in the shopping mood, here are a two fun sales for you! Pink Castle Fabrics is having a moving sale, offering 25% off of everything in the shop with the code MOVING. Stash Fabrics is also having a sale! You can save 10% off of anything in the shop, including presales with the code TWITTERME. great choices Holly! Field study is really pretty. hope you're able to be back in your bedroom soon. Wow! I love all of the fabrics! And I love love love Sunday Morning Quilts. I haven't made any of the quilts yet, but I've started sorting my scraps by color. I recently discovered your blog when I found your technicolor triangles quilt, on Pinterest, I believe. Beautiful!! I was delighted to see Sunday Morning Quilts in the photo! Hope you enjoy it! Have fun using your scraps!